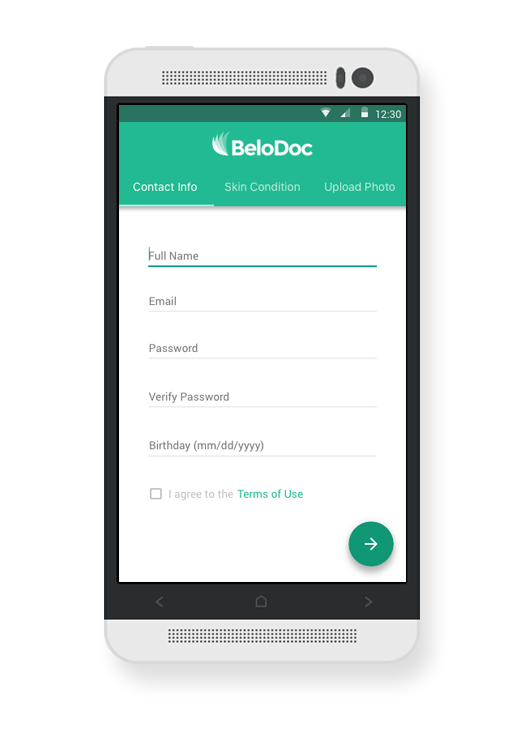 I designed the Android version of BeloDoc's mobile application. 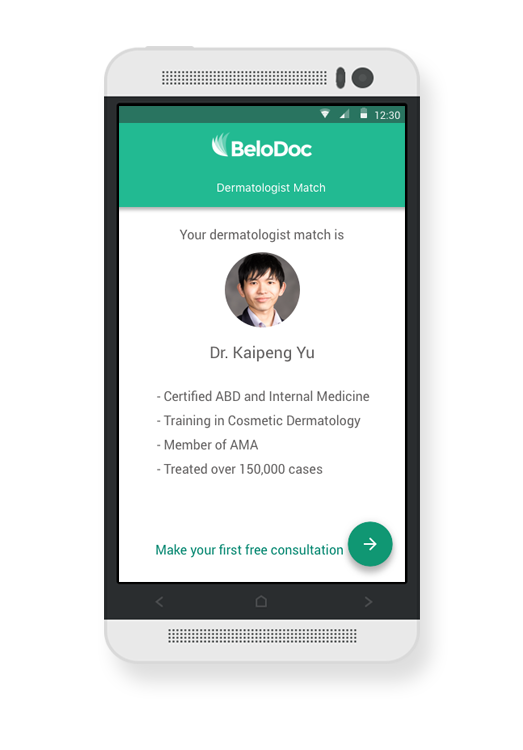 BeloDoc is an online skincare company that provides personalized treatment plans by allowing people to identify and connect with a board-certified dermatologist. 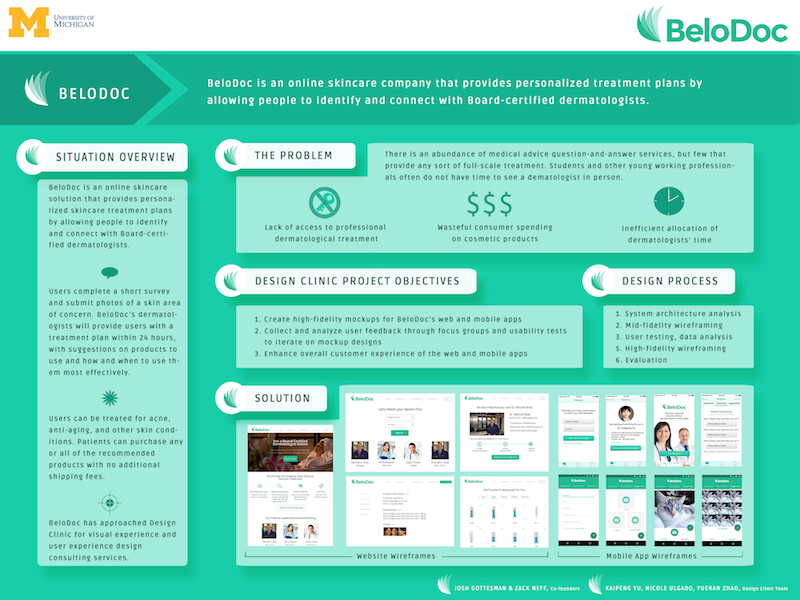 In moving forward with the Design Clinic team, the project sponsor had established three primary objectives: 1, create high-fidelity mockups for BeloDoc's mobile app, 2, Collect and analyze user feedback through focus groups and usability tests to iterate on mockup designs, 3, enhance customer experience of the website and mobile app. 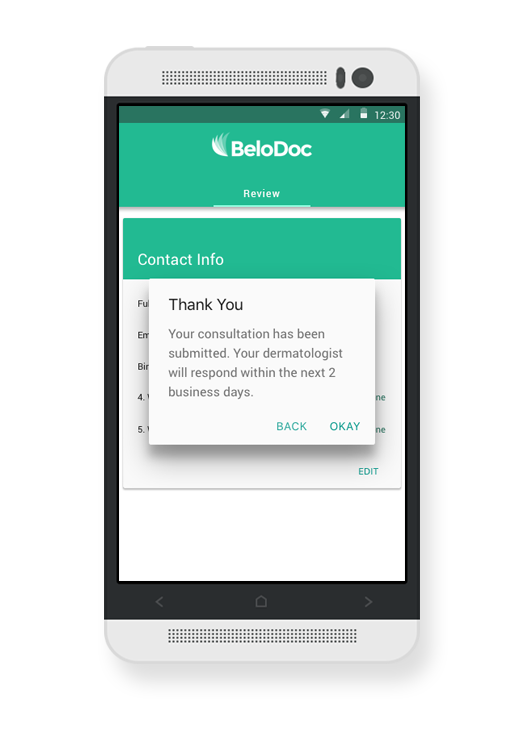 There is an abundance of medical advice question-and-answer servieces, but few that provide any sort of full-scale treatment for skincare. 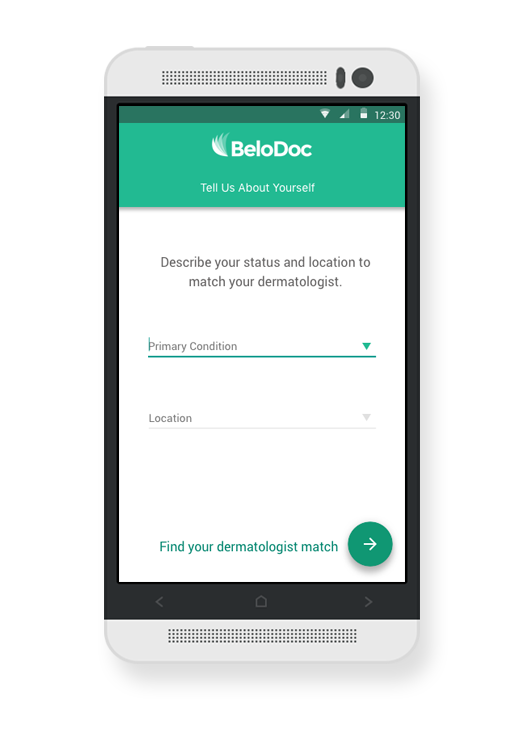 Students and other young working professionals often do not have time to see a dermatologist in person. 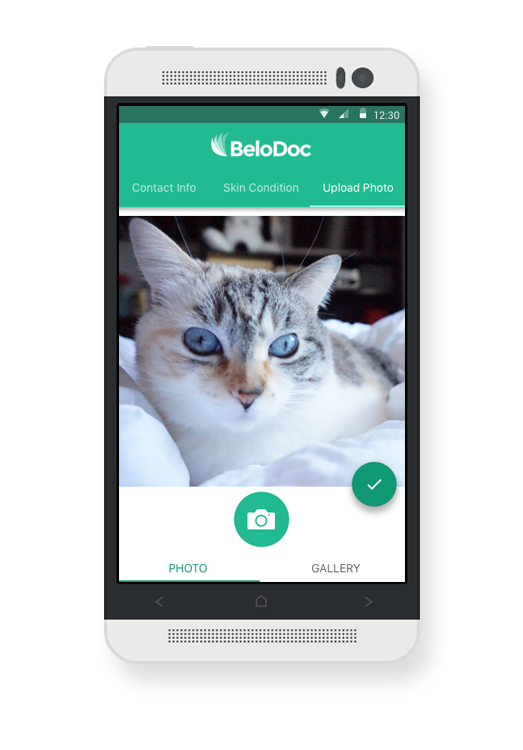 BeloDoc had approached Design Clinic for visual experience and design consulting services. 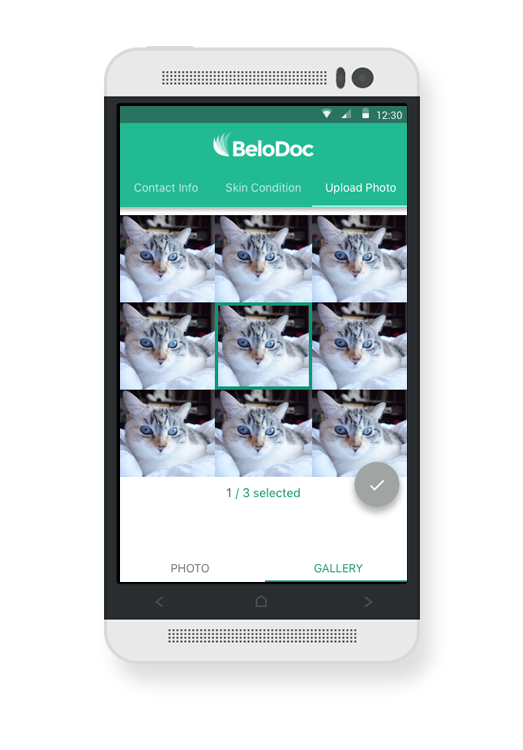 The team analyzed the usability of the current product and conducted a competitive analysis. 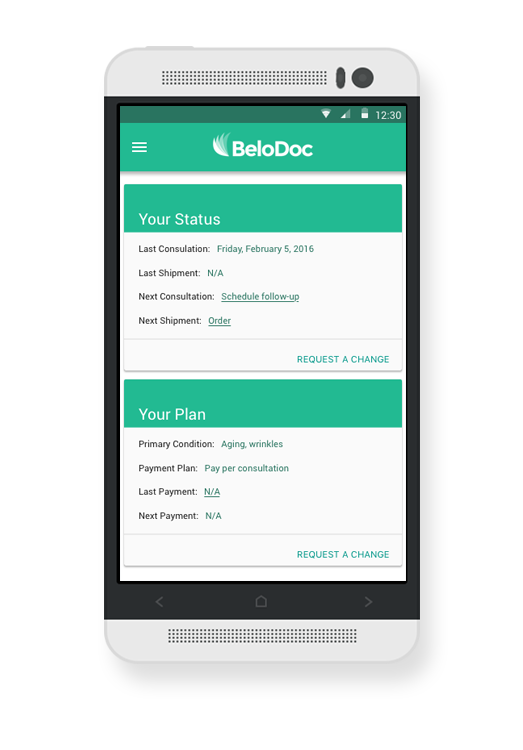 Due to timing and resource constraints, one focus group session was conducted with 5 potential users. 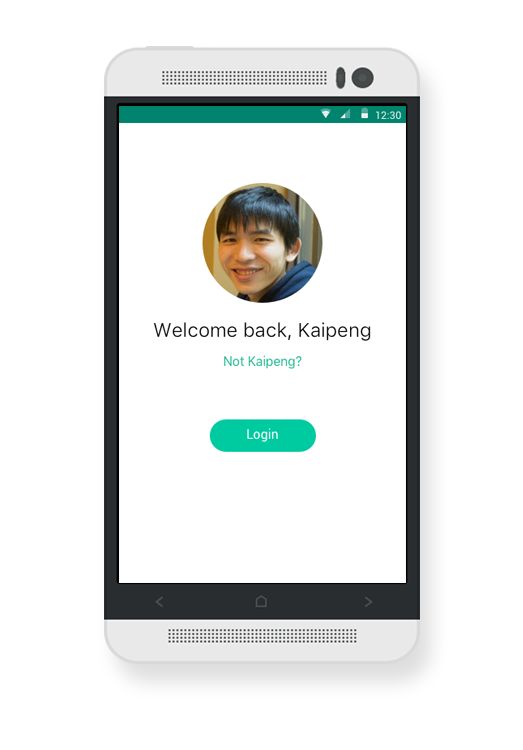 My primary responsibility was to develop low- and high-fidelity wireframes of the Android interface. I sketched out intitial designs on paper and discussed these sketches with my team members. 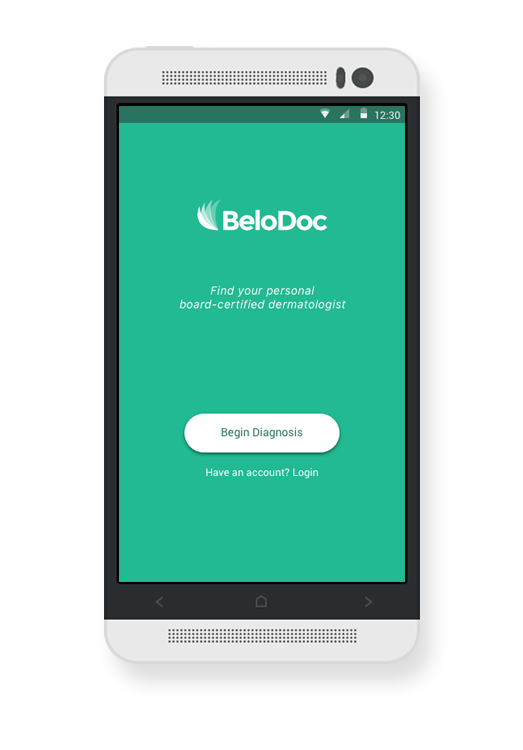 During this phase, we decided on what main features to develop for the mobile app while collaborating with the BeloDoc co-founders. 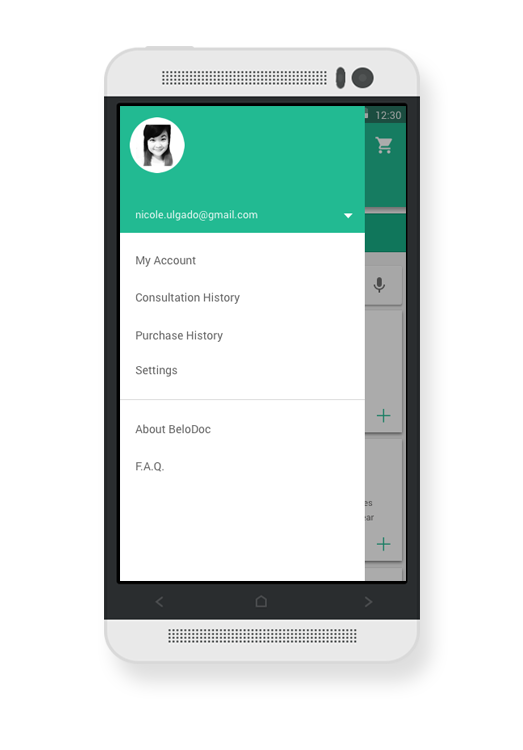 I designed high fidelity wireframes for the Android mobile app. My team presented our work at the UMSI ExpoSItion and the Design Clinic Competition.